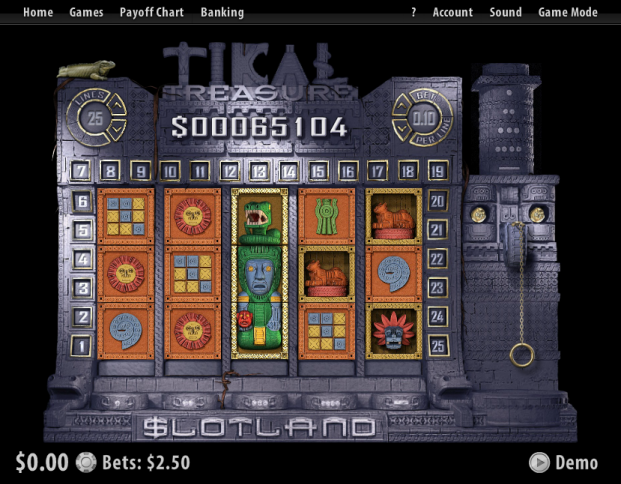 Overview: Tikal Treasure is a 5 wheel, 25 payline online slot with an interactive bonus game where you build a winning payline. 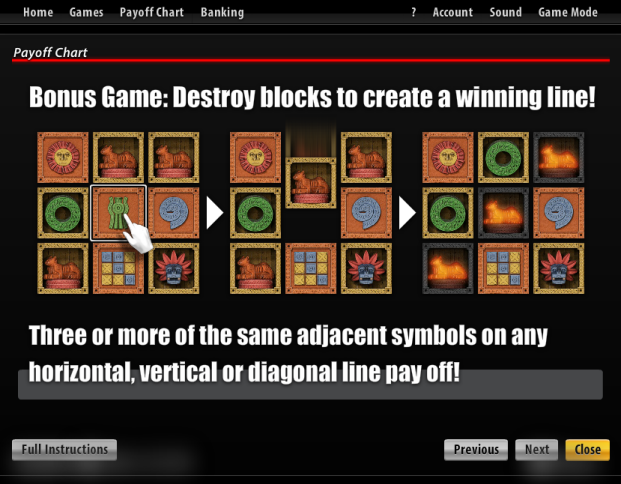 Spin the reels to enjoy the treasures left by the Mayans and collect Mayan balls whenever they appear on the reels. 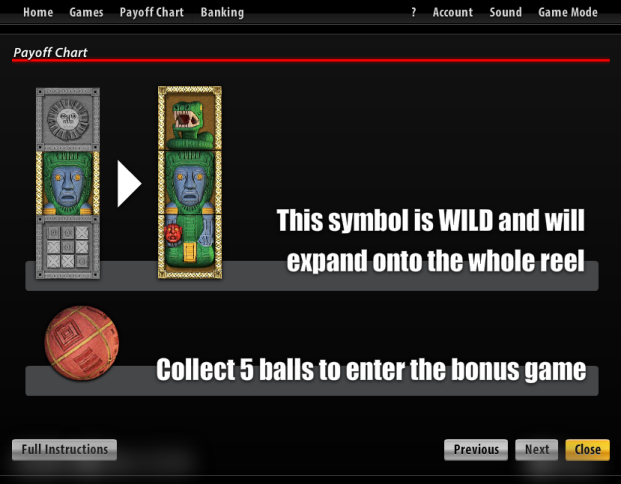 When you have collected 5 balls you enter the special bonus game where you have 5 tries to destroy blocks and create a winning combination with at least three of the same symbols. 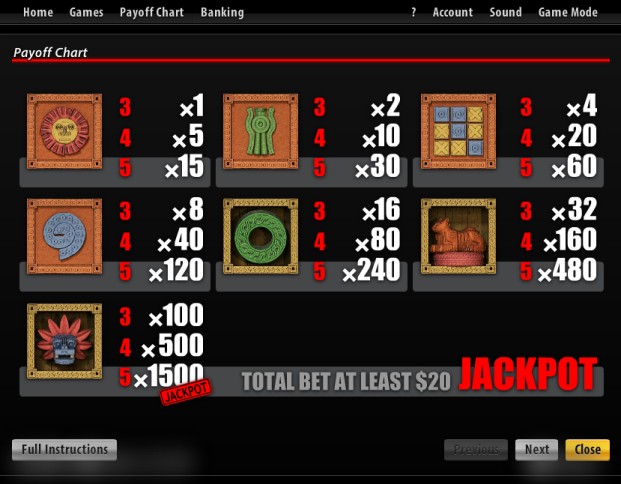 Similar Slots: If you like Tikal Treasure, you might like these other slot machines from Slotland: Carnival, Golden 8, Grand Fortune, Piggy Bank.